Her Dream. 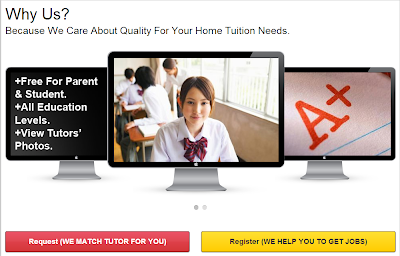 : Find Great Private Tutor In Your Area! Back in childhood time, I was 'stuffed' with lots of tuition classes for almost every single subjects! My mom will always tell me the same thing all over again, 'It's for you own good'. I guess this is what Typical Mothers do all the time eh? I still remember I went for a superb awesomely great Add Math tutor that transform my horrible Add Math results to an A+ ! *Oops, provided that you must go to a RIGHT tutor that able to teach you in a way that you can understand the info and knowledge* However, all this takes a long time rite? To find the right tutor, find the contact number and details of the tutor, and even locations, can take you more than a day time! Nonetheless, thanks to the innovation of the Internet, everything goes online now! 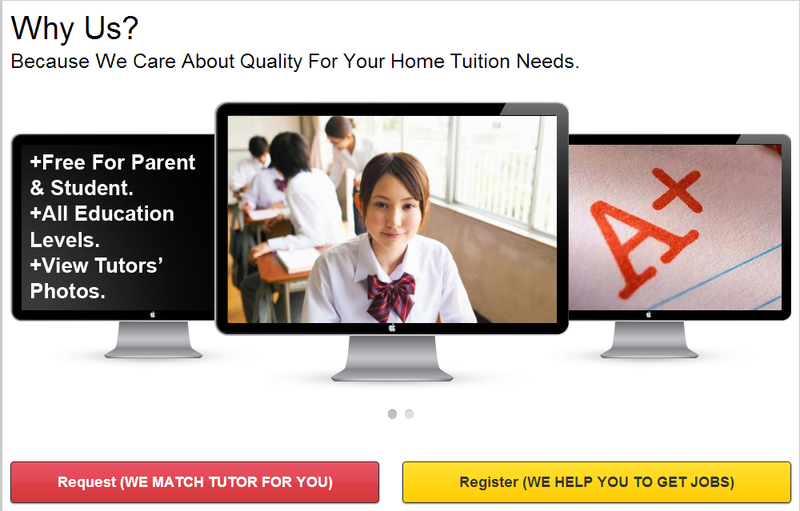 Not to mention, finding a tutor can be done online as well! 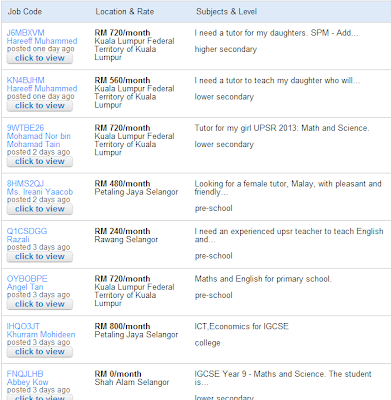 Home Tuition Job - Because Education is Everything. Home Tuition Job is a website for people to look for quality tutors, and at the same time a website for people to find home tuition jobs. And what's so special about Home Tuition Job is, it offers not only academic subjects, but also special skills like programming, chess playing, swimming, piano, cooking and so on. Truly convenient isn't it? Details of tutors are presented in a neat and understandable way. 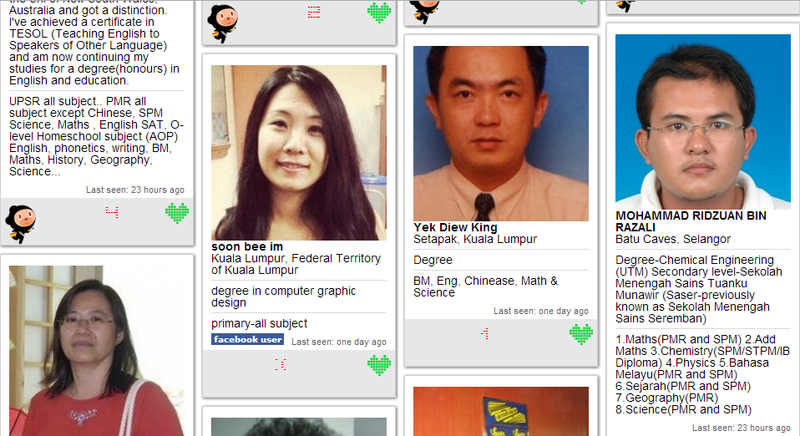 You can check out their photo, location, brief description of him/her, fees required and so on. 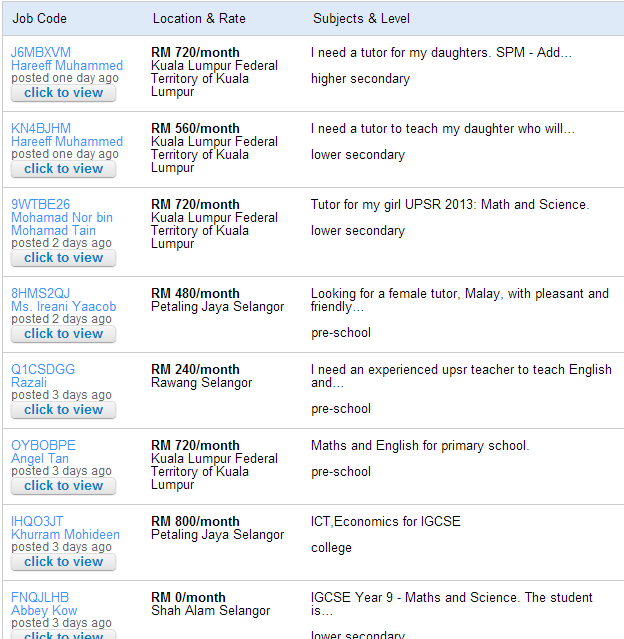 For tutors who are looking for jobs, they could obtain information under Find Job tab. Jobs will be listed down *from the latest to old updates*, with requirements of the parents looking for stated there as well. If you want to know more about Home Tuition Job, just hop over here and you will discover how easy you can get a tutor for yourself or for your children, or even get a job for yourself! It's never too late to do so! Thank God my search for tutors are over now that my son is in his teens! It's so easy these days with all the info online. i guess he approached you as well :) yeah, get paid, but not much though. My kids does have great tutors from J and R Tutors! If you are having a hard time with your subjects like high school bio/high school biology tutoring would be suitable for you. They can help you understand the lessons more.